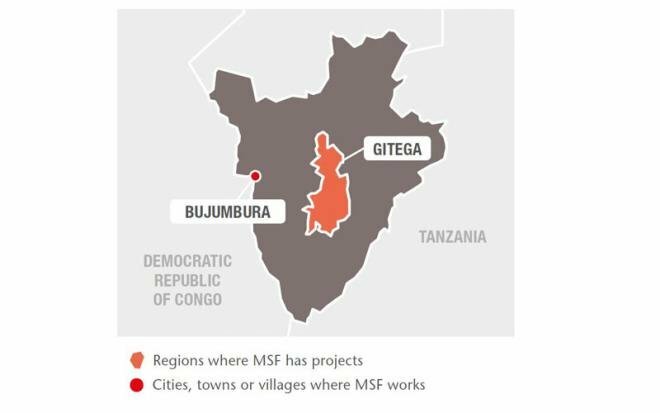 In 2017, MSF continued its work with trauma victims in the Burundian capital, Bujumbura, and launched a response to an ongoing malaria epidemic in Gitega province. The landlocked East African country of Burundi is one of the world’s poorest nations. Since independence from Belgium in 1962, Burundi’s 10.5 million people have been plagued by civil war. Tensions still exist between the usually-dominant Tutsi minority and the Hutu majority. Due to current unrest in the country, thousands of Burundians have fled across the border to Tanzania. Médecins Sans Frontières/Doctors Without Borders (MSF) is helping tens of thousands of these refugees in the Nyarugusu and Nduta camps. MSF first worked in Burundi in 1992. Our work in the country has focused on providing responses to endemic and epidemic diseases, social violence and healthcare exclusion. The 75-bed hospital l’Arche Kigobe, a private facility supported by MSF, provided care for victims of trauma and burns in Bujumbura. Violence has decreased since the 2015 civil unrest, but it remains present in Bujumbura and elsewhere in the country, and is exacerbated by poverty. Eight per cent of the hospital’s patients were treated for violent trauma in 2017. 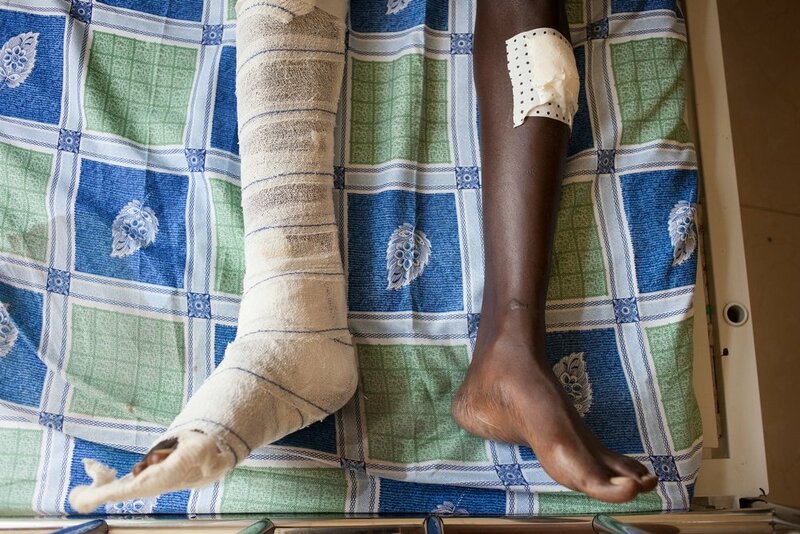 MSF teams conducted 18,824 outpatient consultations, admitted 2,676 for care and performed more than 4,000 surgical interventions. More than 1,000 individual mental health consultations were also conducted. In September, MSF launched a response to a massive increase in malaria cases in Gitega province that was putting a significant strain on local health services. MSF supported 14 local facilities and Ntita district hospital, providing case management for both simple and complicated malaria, and treated a total of 36,847 patients. The team also helped improve the local blood bank and ran health promotion activities to improve infection and control measures. 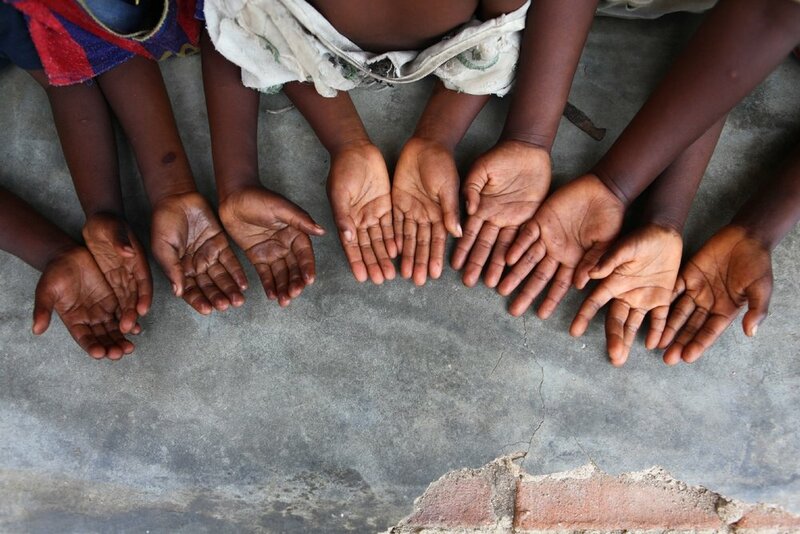 Children show their hands at the Centre de Santé in Magara, south of Kabezi.